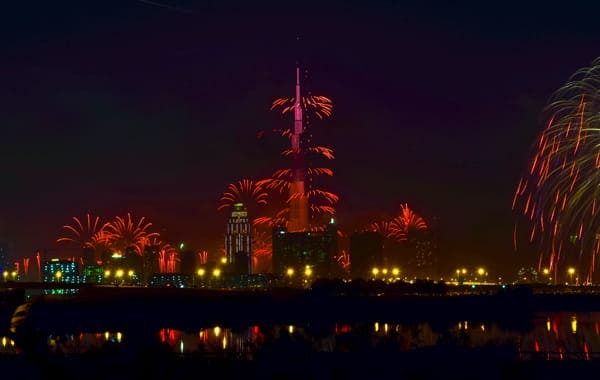 There’s no doubt about it, no city does New Year’s Eve like Dubai. With extravagant fireworks at iconic landmarks to the star-studded parties and fashionable galas, this year has something for everyone. If you want the lowdown on the top things to do to ring in 2019, look no further. Year after year, thousands of people from across the globe gather around the iconic skyscraper for a breathtaking spectacle of fireworks. Seen and heard around the world, Burj Khalifa’s fireworks display is a NYE staple, and this year’s show comes with a riveting dance of water and lights at the Dubai Fountain. If a beachside party under the stars is what you’re looking for, we have just the ticket. 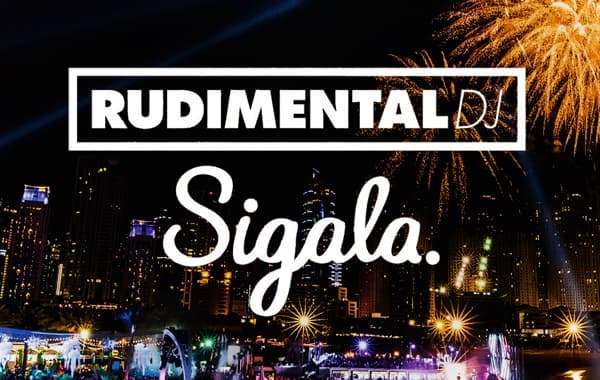 Zero Gravity is hosting a high-profile bash on 31 December with performances by Rudimental – the trio behind radio-hit ‘These Days’ – and live mixes by the English DJ Sigala. You can even make the most of Zero Gravity's beach and pool, which will be open from 12pm onwards for anyone looking for a laidback build-up to the show. The prestigious Dubai Opera is setting the stage for an extravagant gala on 31 December. 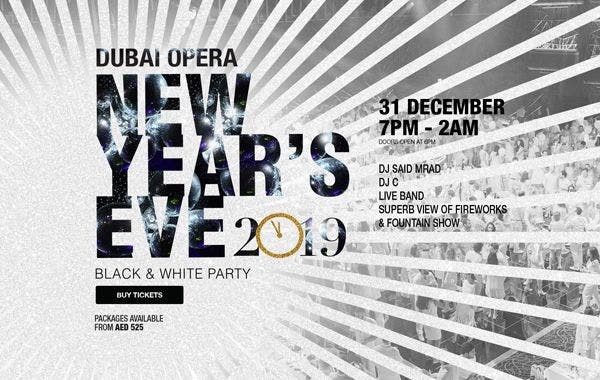 Dubbed the ‘Black and White Party’, this celebration will include performances by Atlanta’s Chinua Hawk and live mixes by the pioneer of Arabian EDM, DJ Said Mrad. And don’t worry about missing out on fireworks – Dubai Opera presents fabulous views of the Burj Khalifa. 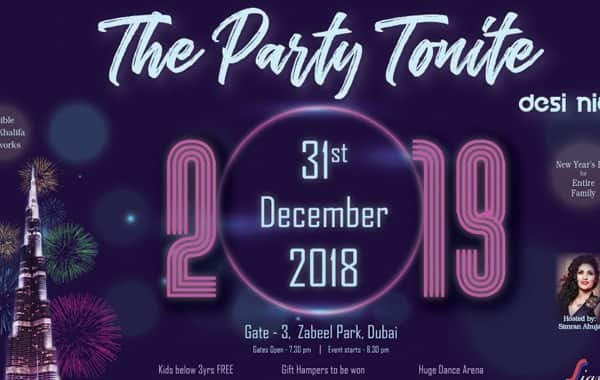 Dance into the New Year with the whole family at Zabeel Park. 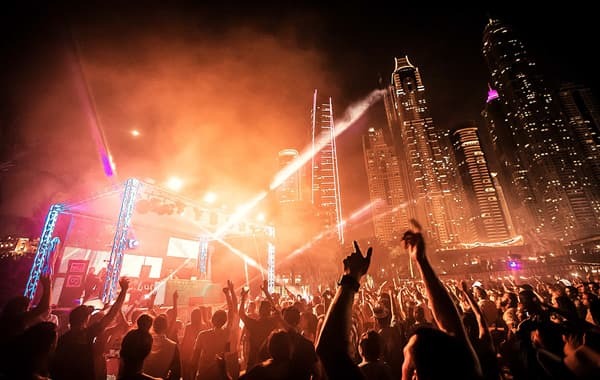 Signature Events is organising a huge dance arena at the park with a playlist of infectious rhythms, from Bollywood and bhangra to hip-hop and disco. You’ll get a clear view of Burj Khalifa’s fireworks in the distance, and if you splash out for VIP tickets, you can even enjoy a lavish buffet dinner and private dance areas. 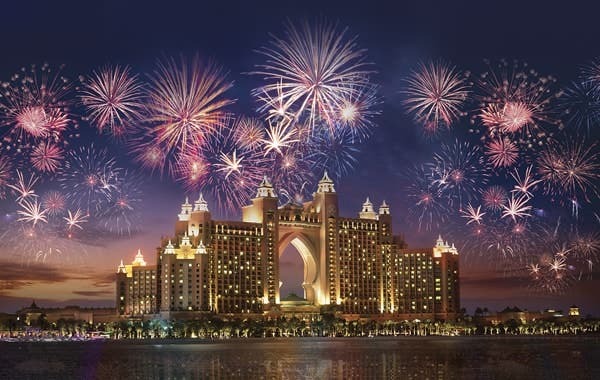 Atlantis, The Palm’s Royal Gala is a New Year's highlight. The iconic hotel will host a grand celebration that pulls out all the stops. Expect a decadent feast complete with lobster and caviar, a 30-piece live band to start the night, a live DJ to end it, and a clear view of the Palm’s amazing fireworks. Parents can also drop kids off at an adjacent ‘Under the Sea’ themed party where children can enjoy their own celebrations with a bouncy castle, arts and crafts corner, and so much more. 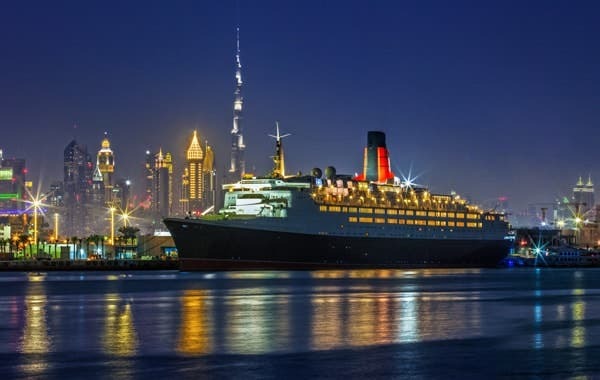 Into the future on an icon of history – the legendary QE2 is ringing in 2019 in spectacular style. Savour a lively and lavish buffet brunch at Lido & Pavilion or a luxe eight-course dinner at The Queen’s Grill Gala Dinner. If you’re looking for a retro dance party, The Yacht Club will be dishing out 80s disco tunes while The Grand Lounge will host tribute bands and comedy acts all through the night. And if you really want to get the full QE2 experience, book the special New Year's offer that includes two nights stay and exclusive benefits. As far as Barasti Beach is concerned, two parties are better than one. Start the day as early as 10am with some fun in the sun and laidback vibes at the One Last Barasti Pool Splash, followed by a high-energy evening at Barasti’s NYE Party at 7pm. 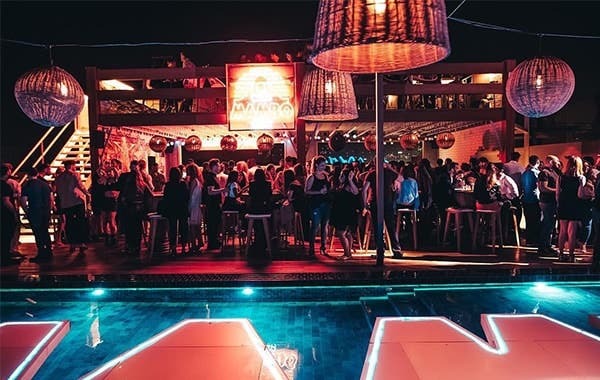 The evening's special guests are hip-hop hype man Fatman Scoop and Bassjackers, so welcome 2019 under the stars, with the stars. An alfresco venue with four uniquely curated zones and a clear view of the Burj Khalifa – if you’re looking for a New Year’s Eve to remember, it has got to be Soho Garden. This vibrant nightlife spot, inspired by London’s Soho, is hosting a grand Golden Garden Party to mark the date. Paint the town red with live music or make an even bigger occasion of the festivities by indulging in a grand dinner. Located in Meydan, this hotspot is tucked away from the usual New Year’s traffic, so join in the party and see Dubai’s top fireworks displays light up the night sky.